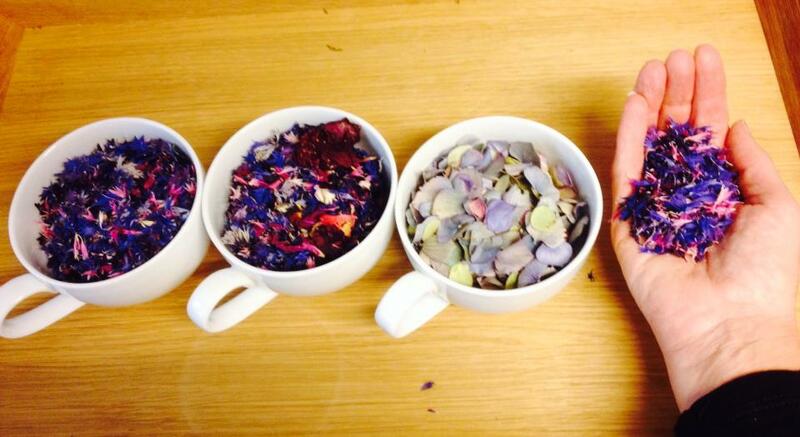 The petals are all natural colours from hydrangeas, roses and cornflowers, producing unique and varied hues. The little packets are all handmade and designed to fit neatly into a clutch bag or hand bag, a pocket or even a sporran! No more clumsy boxes that don’t fit, or collapse and leave a mess. 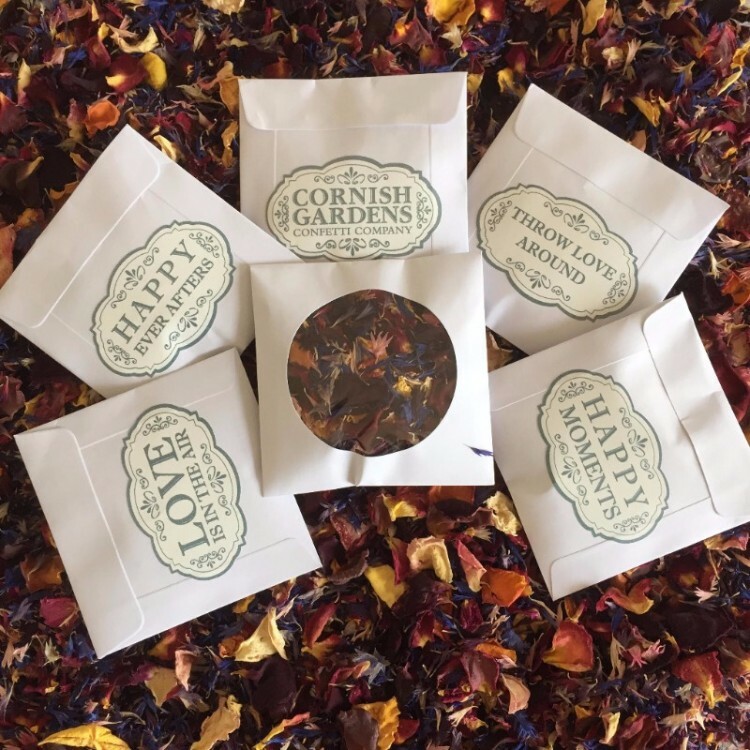 Each packet is cut from a high quality vellum paper and hand stamped with two distinct designs – containing enough to throw and some to share. 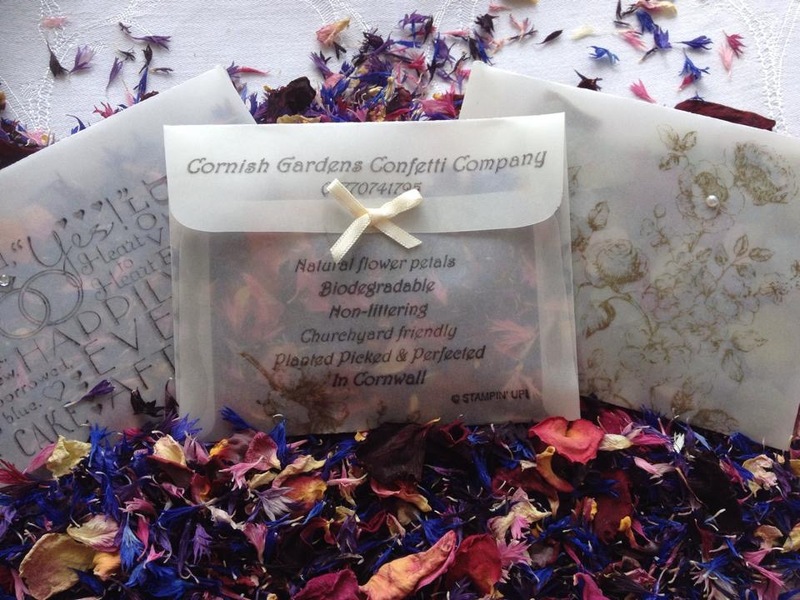 Small white paper sachets with clear circular view windows decorated with a selection of stickers - 'throw love around' 'happy moments' 'love is in the air' 'happy ever afters' and our logo 'Cornish gardens confetti company'. 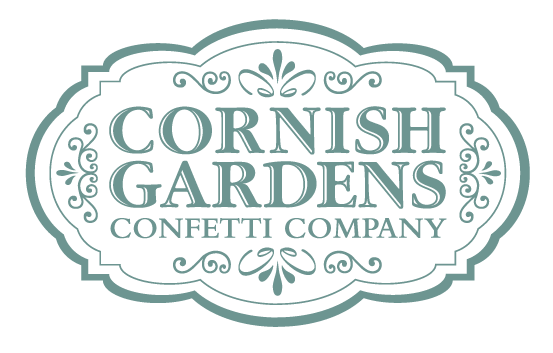 Filled with approximately one small handful of petal confetti. A beautiful high quality luxury product, add a romantic finishing touch to your special wedding day.